William Shatner boldly explores another strange new world: Holiday Music – Cleopatra Records, Inc.
Who�d have guessed more than 50 years ago when actor William Shatner brought Capt. James T. Kirk so vividly to life and helped turn �Star Trek� into a cultural touchstone, that the show�s famous �final frontier� might turn out to be�.Christmas music? 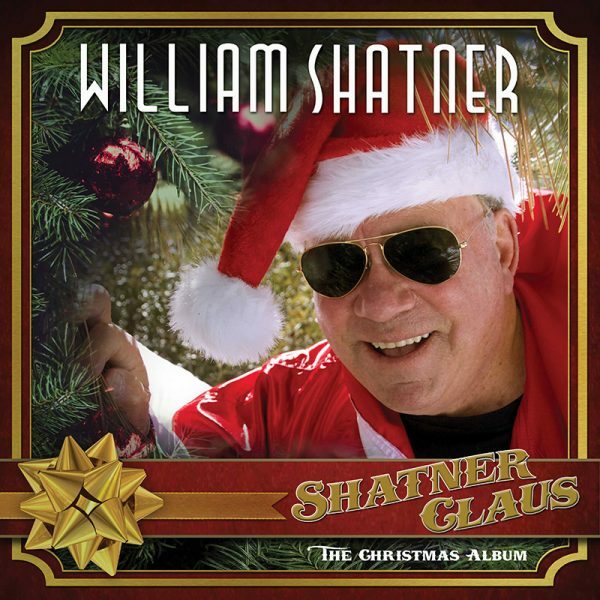 We kid you not: The veteran actor, 87, has just released an album of Yuletide classics: �Shatner Claus�The Christmas Album,� for which he�s joined by a galaxy of pop, rock, country and other stars of contemporary music. Proto-punk rocker Iggy Pop, folk-pop queen Judy Collins, country singer-songwriter-guitarist Brad Paisley, Jethro Tull flutist Ian Anderson, prog-rock keyboard wiz Rick Wakeman and ZZ Top guitar hero Billy Gibbons are among the baker�s dozen guest collaborators. �Every song�good or bad�has my interpretation with the desire to bend it a little, or fulfill more fully its original desire,� Shatner said in a recent interview. That�s his way of pointing out that rather than simply stepping into a studio and reciting lyrics over prepared backing tracks to seasonal favorites such as �Jingle Bells,� �Feliz Navidad,� �White Christmas� and �Winter Wonderland� that Shatner worked closely with album producers Adam Hamilton and Jurgen Engler in applying his vision of how each number ought to play out. �Jingle Bells,� for instance, which starts the album at a breakneck pace as Shatner almost hyperventilates as he relays the song�s lyric. I�m looking at this album as the culmination of this [longtime] yearning to make music and to try to do it the only way I know how.